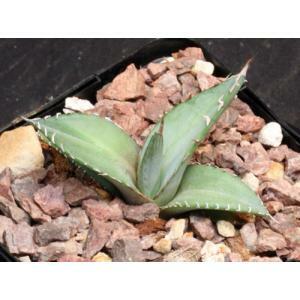 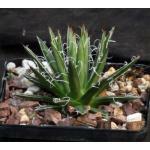 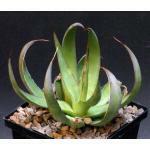 Agave purpurea is from southern Mexico, and Gentry lumps it in with Agave ghiesbrechtii. 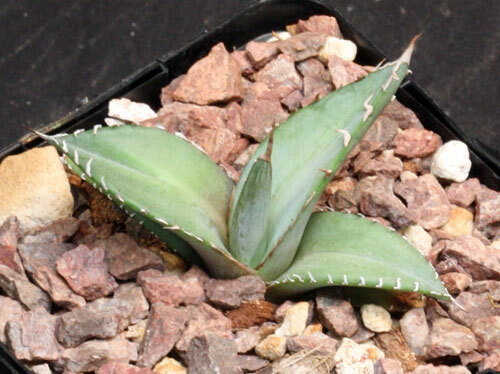 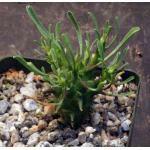 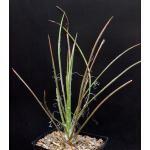 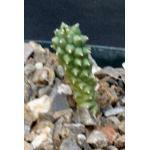 We keep it separate because these plants do not resemble the typical A. ghiesbrechtii that we have as small plants. 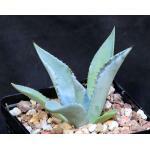 Instead, they have smallish spines on the leaf margins with a two-tone leaf. 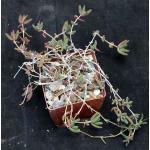 These plants are seedlings in 5-inch pots.